We are absolutely, totally happy with our marionettes. Thank you! Portrait puppets ! Portrait Marionettes ! In case you are looking for something one of a kind, our artists will gladly design customized marionettes toys with the image that you provide. Our masters are skilled to create anything from your own persona, or a friend, or can even satisfy most demanding clients need to perform most resembling copies of famous celebrities or pet characters. 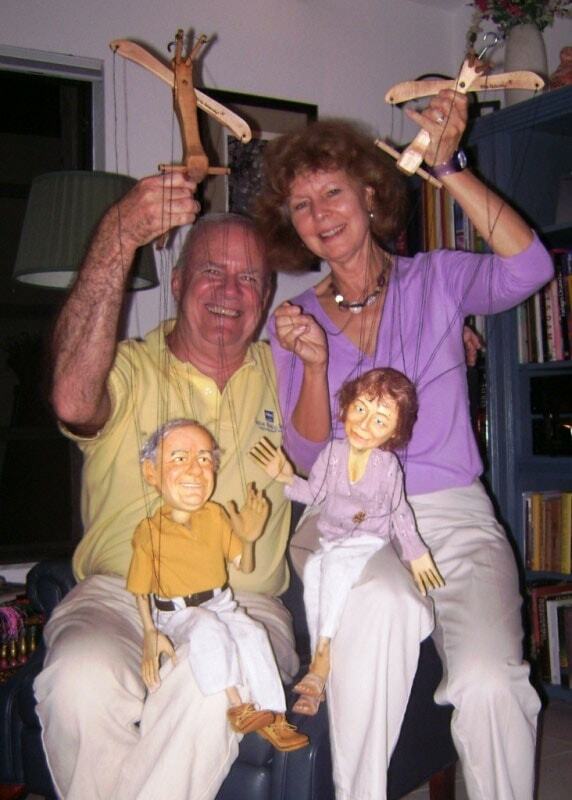 The portrait puppets can be as a wonderful gift. Our artists can make portrait dolls according to your specifications. For this we need pictures and detailed descriptions to be used clothing, etc. Please look at the examples in our offers. Let you customize for your friends and business partners a original and unforgettable gift. Our artists will make a portrait marionette with your portrait or your friend with the shape, a well-known personality, a politician or pet for you. Each portrait puppet is a unique specimen! 1 - Marionette is carved from a wood all. The size of marionette is 20 inches approximately. The price is: $1600 roughly. Time of manufacturing is of 5-6 weeks. 2 - Marionette is carved from of wood, excepting a head. The head is carved out of a special material for sculptures. 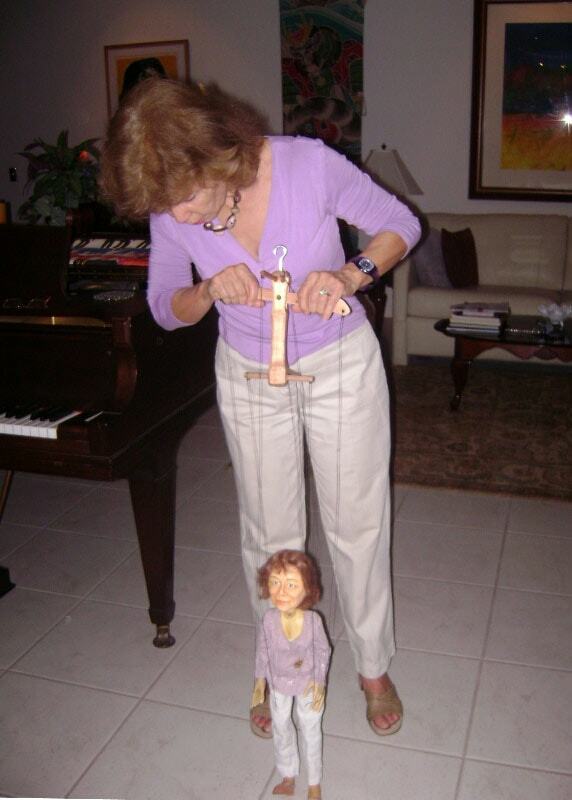 The size of a marionette is 20 inches approximately. The price is : $980 roughly. Time of manufacturing is of 4-5 weeks. 3 - We produce puppets for movie purposes also. It can be done according to the photo, fairy- tale character or fantasy creature. The puppets can express every human movement or feeling. Perfect hinged metal skeleton allow smooth and natural movement, it can stand practically unlimited number of the movements. Are used: special material for sculptures , metal, a leather , textiles. 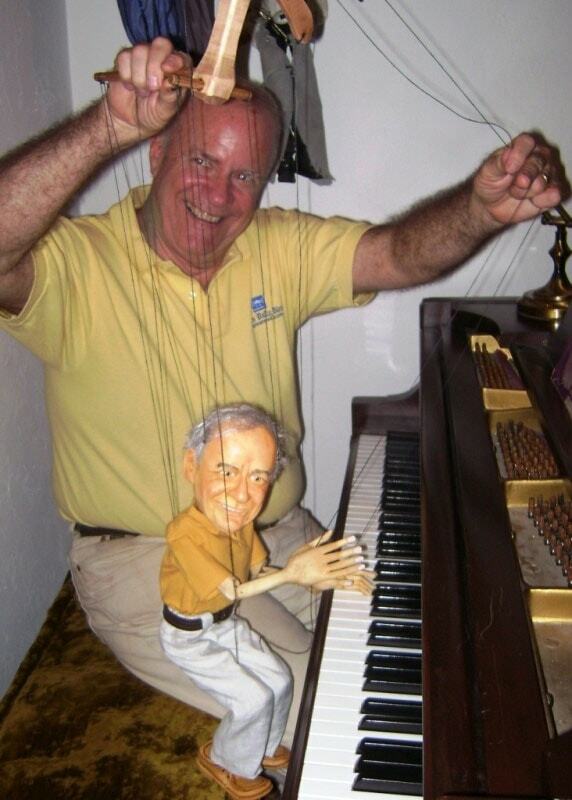 The size of a marionette is 12 inches approximately. The price is : $ 3850.00 roughly. Time of manufacturing is of 6 weeks. 4 - The simple marionette, a head, hands and feet are made of special plaster. The size of marionette is 12 inches approximately. The price is: $350 roughly. Time of manufacturing is of 12 days. The qualitative photos are necessary for marionette manufacturing. So-called police photos, front and half face. And the clothes description. 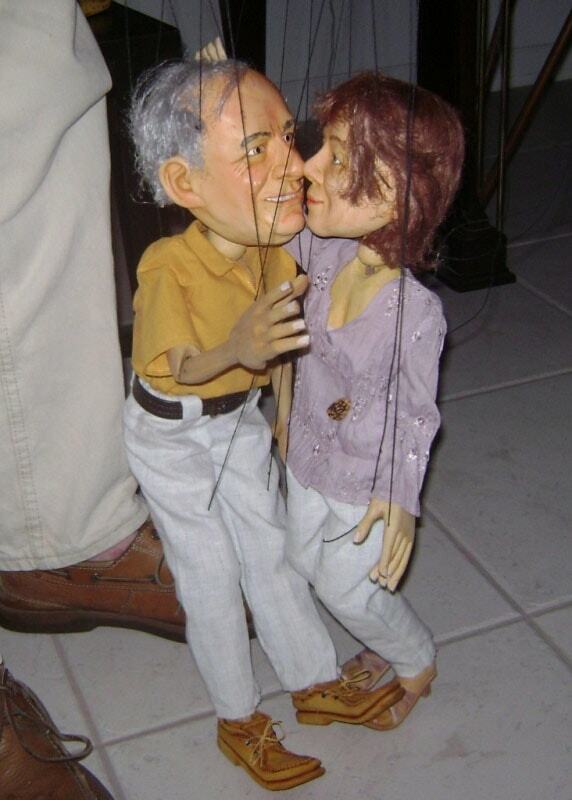 You can order other sizes of marionettes also, under the arrangement. Photos can send in the appendix to the letter.